Support - Droid. Cost: 2. 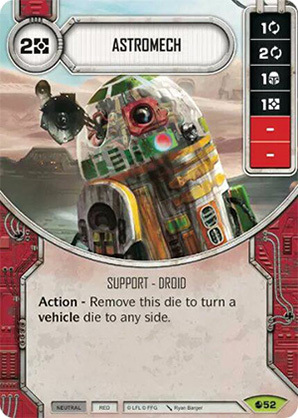 Action - Remove this die to turn a vehicle die to any side.